My boyfriend and I recently took a leap of faith, quit our job, and took a much needed vacation from New York City across the border to Canada! We chose three cities and took our first train ride to Montreal. We spent most of our time there and then headed for a brief visit to Quebec City and Toronto. We both invested in new cameras right before we left and were staying with seasoned photographer, Mary Elam so we were all a bunch of photo-happy campers. We even created this short travel film of our adventures in Montreal. I'm pretty excited about it, take a look! 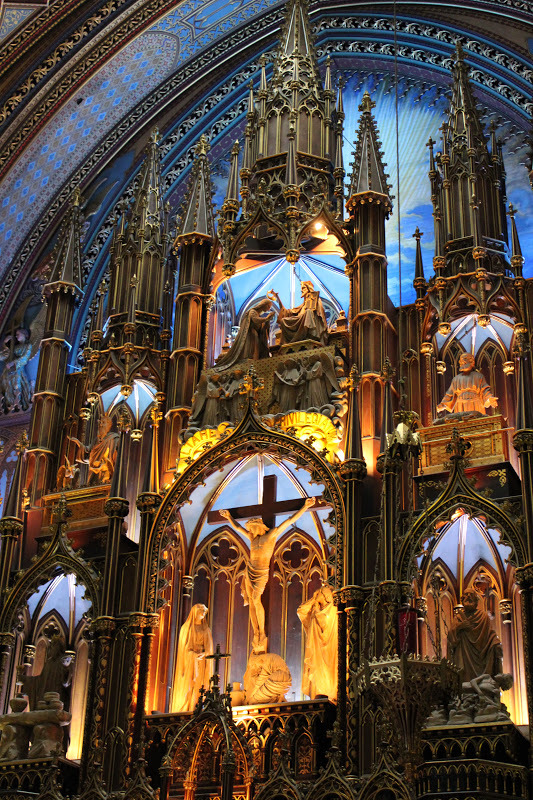 One of the sights we enjoyed in Old Montreal was the Basilque Notre-Dame de Montreal. It was a seriously epic church and I finally owned a camera that could take awesome, no-flash photos of it. 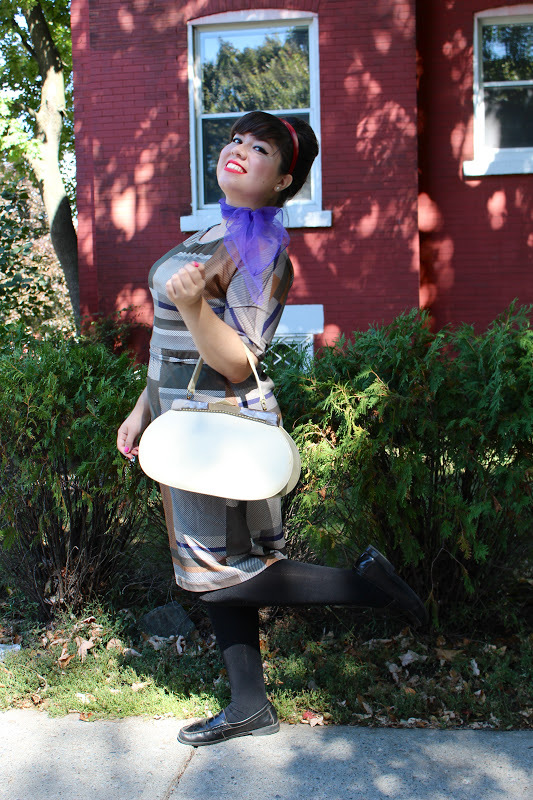 The church was a piece of history, but when it got down to it, I wanted to do some vintage shopping! My first stop was the St. Michel Flea Market. 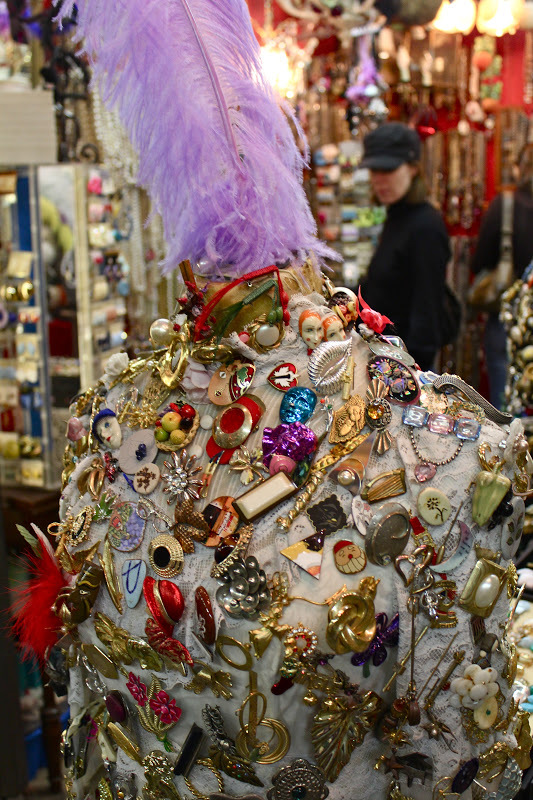 It was hands-down the best flea market for awesome vintage jewelry that's totally inexpensive. Here are a few other treasures..
My friend, Mary struck a pose in these retro sunnies. At the end of the day, I was super happy with what I'd found! Below are some photos of Kitch 'N Swell, the most amazing vintage store in Montreal, along with its sister store next door. The moment you walk in, you're greeted with pure campy awesomeness. Not many vintage stores can give such a truly authentic vibe. I was really impressed at the selection and feel of the store. 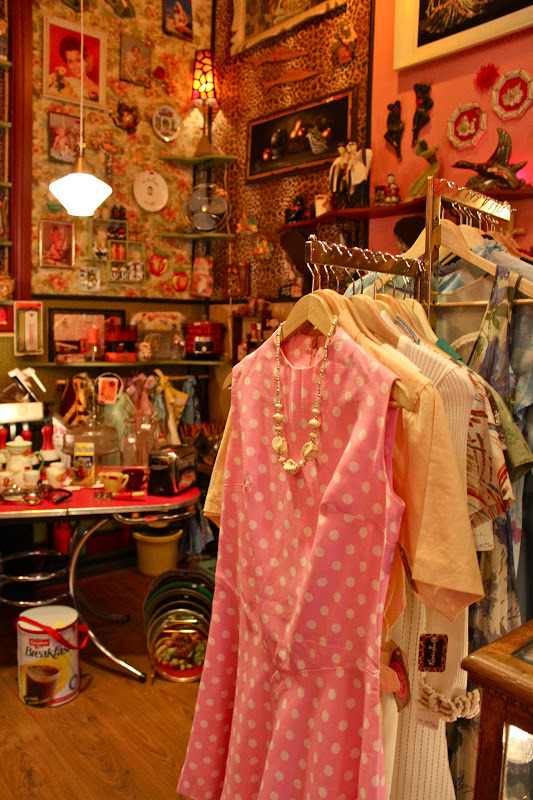 Another place to find great, vintage items is an area called The Mile End. 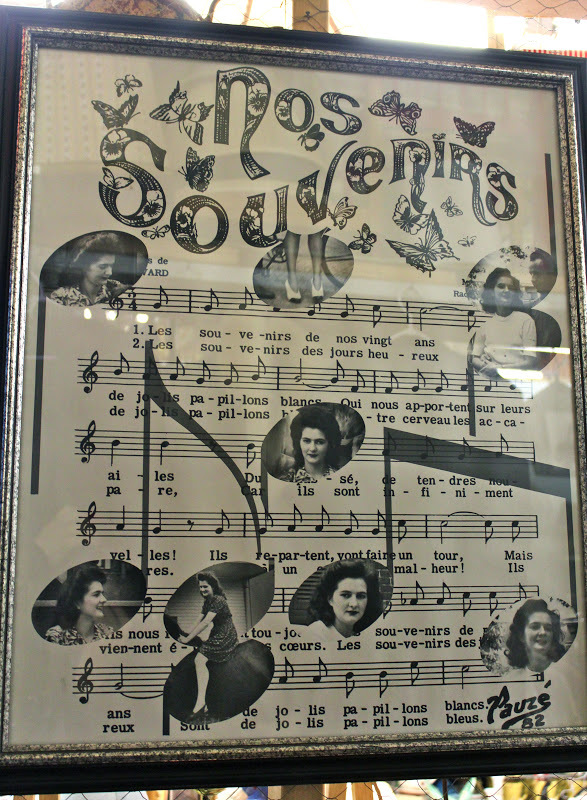 It was super charming and there were boutiques and vintage shops everywhere we turned. When it comes to food, the recommendations could go on forever. The food in Montreal was FANTASTIC! 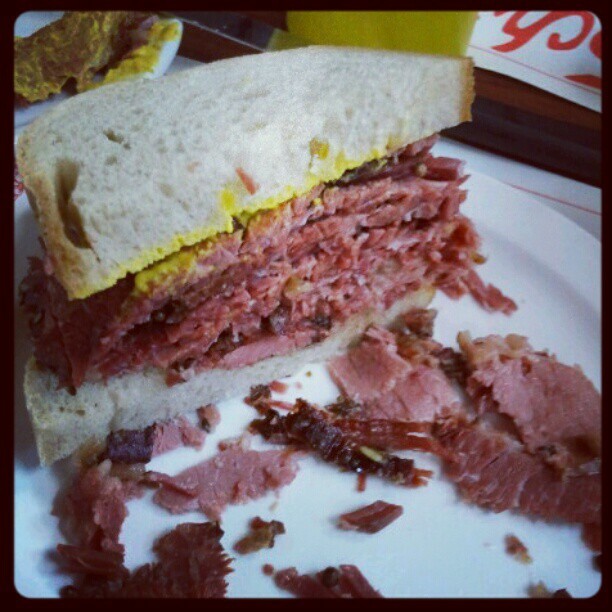 Here is a photo of the famous Schwartz smoked meat sandwich. If you're a carnivore, it is a sandwich not to be missed. Locals say to get a cherry coke with it! Another great place to eat was La Croissanterie Figaro. We went for brunch and although I got simple eggs and ham wrapped in a crepe, the thing that made the meal was the Canadian maple syrup sprinkled all over it. I didn't take a picture of my food that time, but here I am leaving the restaurant happy as a clam. Another place we ate amazing food was at the Jean Talon Food Market. My head was spinning every which way, so much of the food looked delicious! This is what we ended up with...Yum! A few other recommendations for Montreal include: Club Blizzarts on Mod Night, Lawrence French toast and fresh apple juice (so good!! ), poutine at Poutine la Banquise, fancy drinks at Taverne Square Dominion, and the most amazing bagels in the world at St.-Viateur Bagels. Montreal was a blast, mostly due to our amazing hosts so shout out to Mary and Matt! We only spent a day in Quebec City, but it was super charming. Unfortunately it rained while we were there, but we still just walked around. We stopped by the fancy Fairmont Le Château Frontenac and took a gander at it's grandness. It was harder to get around with no train system, but we walked quite a ways and the whole town felt oh so French. We got around with bits of French I learned in school! Toronto was our last stop before heading back to NYC. We stayed with the lovely Serah Marie, Editor-in-Chief of WORN Magazine. Like Montreal, Toronto was full of pure deliciousness. We started our mornings at a place called The Glory Hole. Then, we walked around and later ate fish and chips at Chippy's. Nadege Patisserie across the street was the perfect place for dessert. That yellow square is a homemade marshmallow! Other cool places in the area were Preloved, a reworked vintage boutique, The Paper Place, amazing paper products of all kinds (I wanted to buy everything! ), and a cute little bookshop called Type Books. There was also a park across the street, which was the perfect place to eat our fish and chips! One of my other favorite places was called BYOB Cocktail Emporium. There was a plethora of fancy mod housewares, clothes, Tiki lounge accessories and, of course, things to make cocktails! 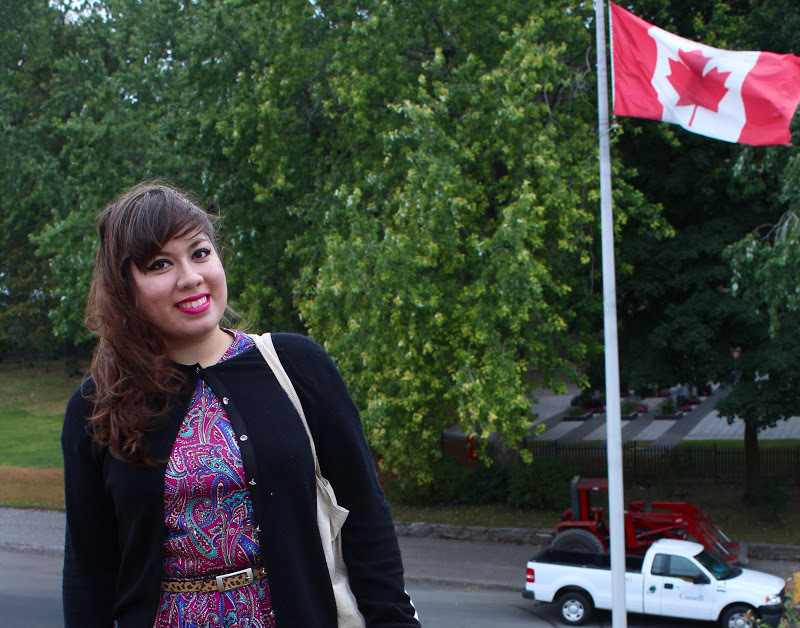 Overall, Canada was really amazing and I hope to go back really soon!